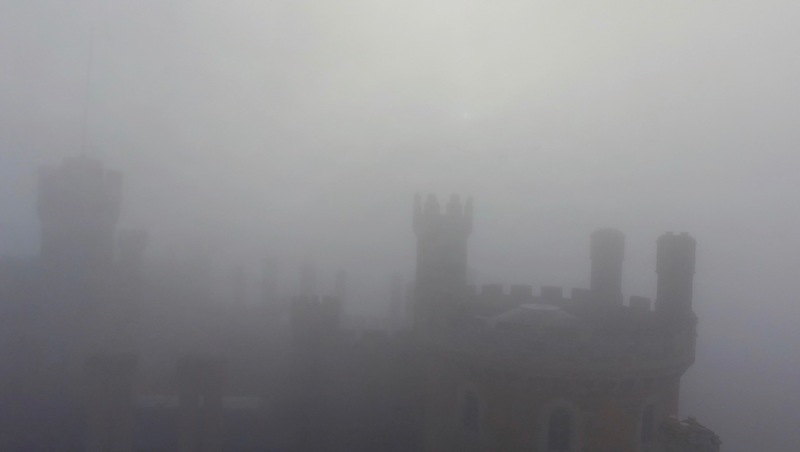 It was only my second day flying the Phantom 3 Standard and my confidence was up enough to go for an early morning spooky fog shot over Belvoir Castle. Fog turned out to be the least of my worries. It didn’t occur to me that standing at the hulking base of that castle that the lead on the roofs would come between the controller and the drone and effectively cut transmission. In fact, I wasn’t thinking about lead roofs at all. Yes, it crashed, but there’s a happy ending. Tough little bugger only suffered 3 broken props and lived to fly again. So…if you fancy flying over old churches or buildings–keep line of sight with the drone. Those old buildings might have lead roofs.